We are now selling Quantohm energy products made from entirely natural ingredients and therefore suitable for chemically sensitive people. It replaces all of the previously made resin orgone. Each piece is uniquely individual with patterns and swirls. This range carries a clearing and energising heart energy. It also carries a stillness which allows anyone holding it or placing it near them to connect much more to their inner selves.. 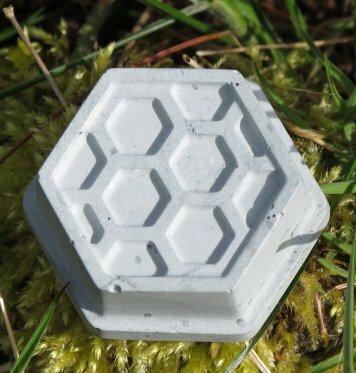 It is perfect for EMFs as well as negative energies and leylines. 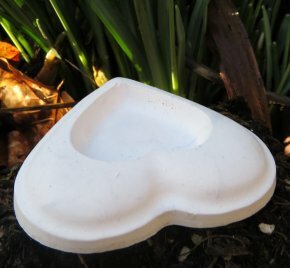 It can be placed where it is needed the most, for eg near computers,modems, cable free phones, electrical boxes, under beds, near plants and much more. Only place outside undercover. A set of three pocket pieces made from pure, natural ingredients including Shungite powder and Silica. They measure approx 3,5cm in diameter and 1.5cm in depth. The perfect way for keeping balance and inner peace. Can also be used for clearing crystals and jewellery. 3 x Quantohm Orgone Pocket Buttons. These can be placed in pockets and bags to keep a much more balanced energy whether its from Emfs or negativity. Flat one side and domed the other they are approx 3.5cm in diameter and 2.5cm in depth . 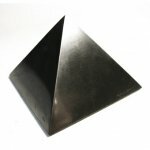 The Quantohm Orgone cone holds a very "still" energetic space. It is 12cm high and 6cm in diameter. 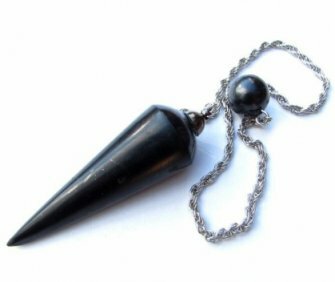 Made from entirely natural ingredients which include Shungite and powdered crystals this cone will help clean up your living space by raising the vibration and processing the emfs and negative energies. 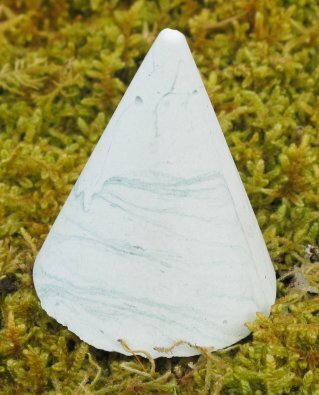 The small Quantohm Orgone cone measures 3.5cm in diameter x 5cm in height.This set of three cones made from purely natural ingredients can be placed anywhere around the house for a cleansing effect.. 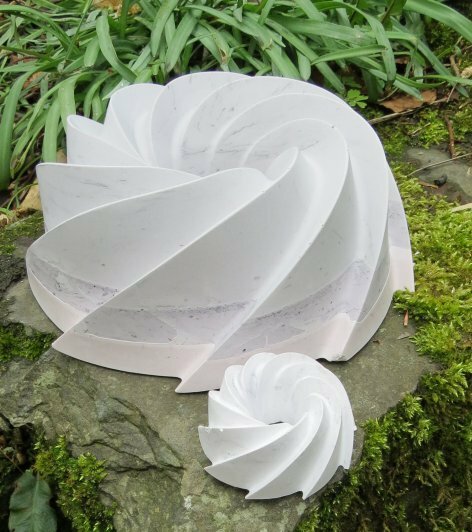 The Quantohm Orgone Vortex spins energy from its centre and is recommended for places where the energy is particularly "stuck". 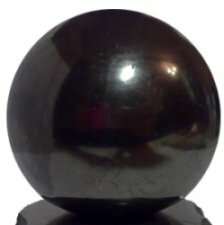 This is not recommended for carrying in pockets but can be held in the hand for a quick energetic clearing and vibrational boost, Good for placing under computer screens.. Approx 7cm diameter at the base and 3cm in depth. 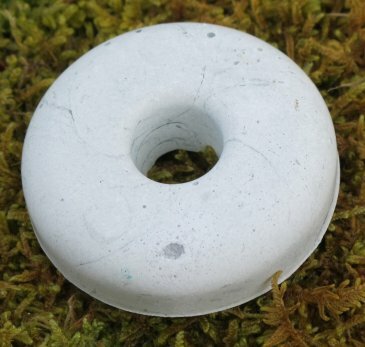 The Quantohm Orgone Donut has a vortex of energy through its centre and is recommended for quick clearing sessions held in the hand. It can be carried in bags but is not recommended for pockets or as a pendant. It is ideal for placing crystals and jewellery on for clearing and energising and makes a good amplifying base for crystal spheres. 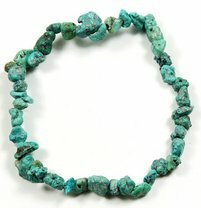 It measures 4.5cm in diameter and is 1.5cm in depth. 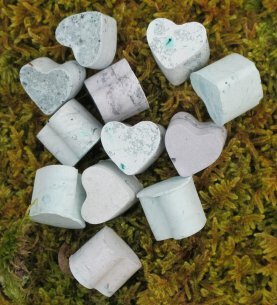 This set of 18 Quantohm Hearts can be used for boosting energies and clearing Emfs anywhere and everywhere. They are delightful to look at and can be given away to people to place in their pockets or to place on crystals and plants to keep them clear. They measure approx 1cm in depth and in height. 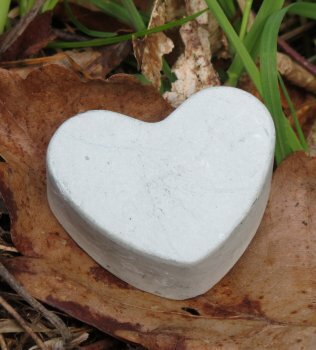 The Quantohm Pocket Heart is perfect for carrying around in pockets or bags. 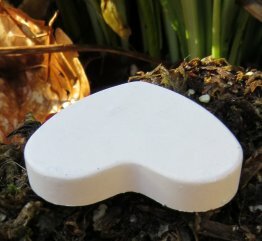 It has a lovely peaceful energy and helps maintain balance and clearing. It is approx 3.5cm in diameter, three cm in length and2cm in depth. 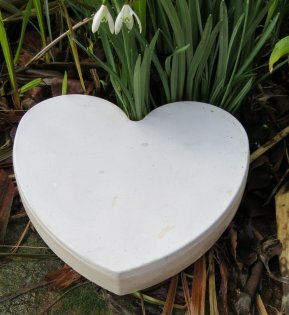 The Quantohm large flat heart is approx 6 cms long, 6.5cm at its widest and just under 1cm in depth. It has an indented heart shape in the middle. It can be used for carrying in pockets, placing with crystals, as a clearing base for any item or just placing where extra clearing and energising is needed. They can be used for writing intentions or healing codes and numbers on. Also available in bulk buys. These hearts are the same as the pocket hearts above but thinner. Thery are perfect for writing intents or Grigori Grabavoi healing numbers on or any of the other healing codes. When writing intents keep it entirely positive by writing short phrases like "perfect health, complete abundance, perfect vision " etc. Healing codes and numbers can be written on both sides and can be carried around in pockets. The fingers of the right hand appear to have a profound absorbing effect when holding the numbers/intents written on the orgone. The orgone energises and amplifies and the body absorbs. The hearts are approx 3.5cm in diameter, three cm in length and appro x 0.5cm in depth. The depth varies. Also available as a bulk purchase item. This large heart shaped energy plate weighs approx 1,750g. It is approx 22cms long and 22cm wide. and is just under 3cm in depth. 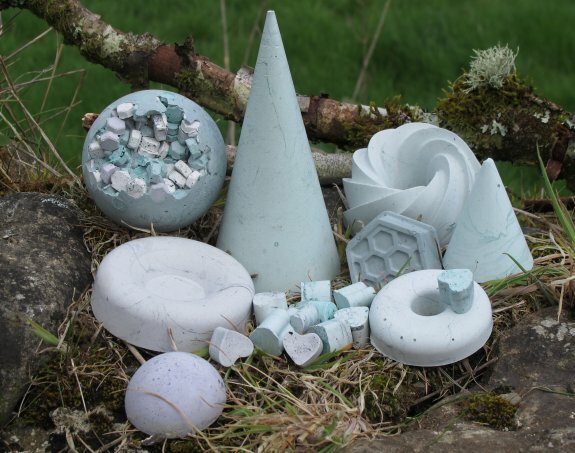 It is perfect for energising and raising the vibration of food and water and crystals or even just energising and clearing a room as a decorative piece.. 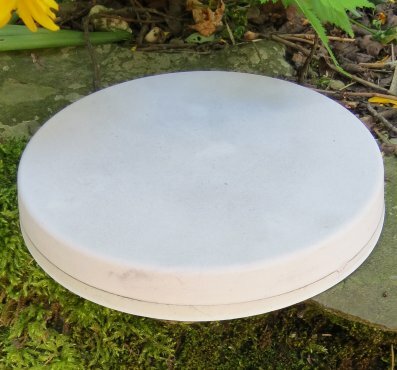 This Quantohm Orgone Energy Plate is for raising the vibration of food and water . 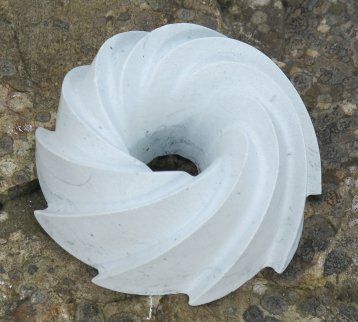 It is approx 18.5cms in diameter and 2.5cms in depth. It weighs approx 1kg. Leave food and water on this plate for a minimum of 3 minutes. 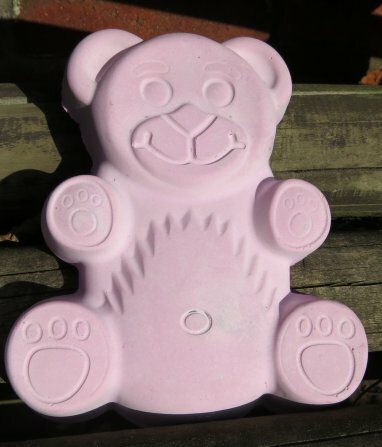 Choose the colour of your Quantohm Orgone Teddy from the drop down list. Made from completely natural substances this Orgone Teddy weighs around 500g, .measures approx 16cm in length and 13cm in width with a depth of 3cm. It is not a toy. Placed out of reach of children this Orgone Teddy can be used for keeping spaces clear and charging rooms with life-force. The Quantohm Sphere measures approx 6cm in diameter at its widest and 6cm in height. It is comfortable to hold in the hand and stands on its own with one flat end. 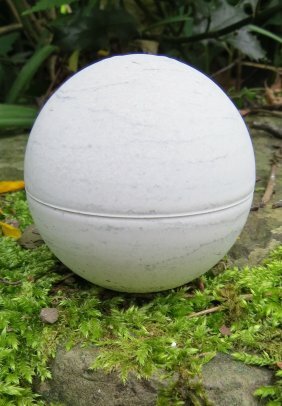 The Quantohm Sphere can be placed anywhere around the house and can be easily carried in bags.. They weigh approx 180g. They carry a calming and balancing energy and can be used to clear spaces of negativity and EMFs. The Rippler cone is suitable for a wide variety of uses. It is particularly recommended for placing beside computers for EMFs and is also excellent placed in the fridge to keep foods vibrationally high and cleared. It is approximately 10cms high and 8cms at its widest. The Quantohm MaxiCone1 is the smallest of the Maxi Cones. It is intended for larger spaces or spaces that need extra clearing. 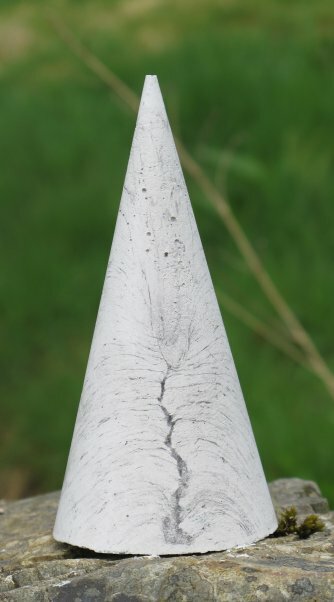 The Cone measures approx 21cm in height and 12cm in diameter . It weighs approx 1.8kg.at its widest. This is also good for taking in the car when travelling. The picture is an example only of the cone as each one is unique in shades and patterns. The Quantohm Maxi Cone2 is intended for larger areas or for smaller areas needing a lot of clearing. This cone would suit anyone with an overload of EMFs, flat dwellers, or those close to towers and masts. 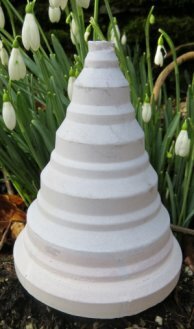 The cone is approx 26cms high and 13cm in diameter at the widest point. It weighs 2.5kg approx. The picture shown here is only an example of the cone as colours and patterns vary from cone to cone. The new Quantohm Orgone Maxi Vortex weighs in at around 3.5 kg. 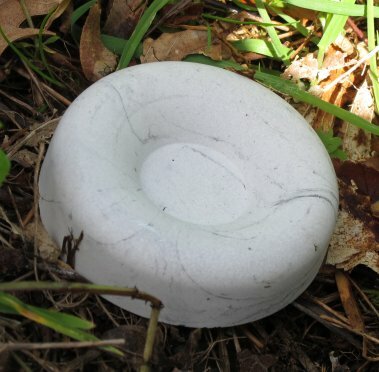 It is 22cm in diameter and around 9cm in height. 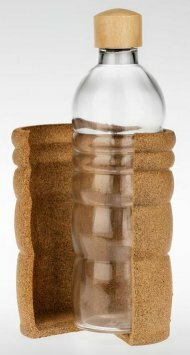 This orgone vortex can stand on top of all the maxi cones for extra vibrational clearing but has a very powerful energy by itself. It is shown here with the smaller vortex for comparison.